After vowing to love each other for richer or for poorer, Kim Kardashian filed for divorce from Kris Humphries after 72 days of marriage. Don't worry, they're still rich. Very rich. Kim sold the rights to her wedding for a reported $17.9 million, meaning that she earned approximately $10,358.80 per hour of marriage. As if she needed any more money. The majority of us saw the dissolution of this union quickly approaching, but the groom was apparently blindsided by the announcement. "I love my wife and am devastated to learn she filed for divorce. I'm willing to do whatever it takes to make it work." Well, Humphries, I think it's a little too late. For your next wife, you might want to try getting along with her family, making human noises (arf! arf!) and not proposing with messy flower petals after your she has a meltdown over messes. Yah, that's a good start. The real question remains: was it all a media ploy? Kim told E!, her network, that "this was not an easy decision." I think Kim's only problem was figuring out when to announce the news! As THR reported, the convenient timing of the Monday morning divorce announcement gave the weeklies enough time to slide it onto the cover of their new issues. Calculating? Very. The drama-filled Kardashian-Humphries union will play out on the small screen for our amusement in Kim and Kourtney Take New York. In the meantime, Kim better sort out her pricey wedding gifts and negotiate retribution to her sponsors. Would your brand want to be involved in the supposed sham wedding? It's great publicity, but bad association. Thoughts? "It's true! I'm going to be a mummy," Jessica Simpson announced on her website. Well, duh! Jessica isn't exactly known for her brain, but her pregnancy was one of the worst kept secrets in Hollywood. I do like her mummy pun, though. Nicole Richie was Jennifer Lopez for Halloween. Epic. In case you haven't heard, Chris Martin is a little obsessed with Rihanna. The two collaborated on Coldplay's latest album, Mylo Xyloto, and Chris and co. performed a cover of RiRi's We Found Love on Radio One. I'm obsessed. George Clooney is an eternal bachelor. I'm quite confident in my statement. The silver fox himself has said that he's not looking for marriage or for a family. His constant stream of girlfriends might think they can change his outlook, but they can't. George Clooney is destined to remain a bachelor for eternity. His latest girlfriend Stacy Kiebler seems to accept Clooney's wish to remain unwed, but former love Elisabetta Canalis did not. The duo were getting along just fine until Elisabetta gave an interview talking about her plans to get married and have kids. That's a major no-no in Clooney-land and Elisabetta was promptly dumped. The faux-celebrity then enlisted on Dancing with the Stars, was kicked off and is now making some interesting statements in order to stay relevant. "He was a very special person for me - like a father," Elisabetta told Italian broadcaster Bruno Vespa in his new book This Love. For those of you who skimmed over that last line, Elisabetta said that Clooney is like father to her. I don't know about you, Elisabetta, but I don't think it's normal to be intimate with your father. I understand she's upset that Clooney dumped her and promptly began dating Stacy, but her statement just doesn't sit well with me. Elisabetta needs to move on and find someone new to date. Oh, and she should probably make sure he doesn't turn into her father because that's just weird. George - you'll never be a father to me. When Kim Kardashian gets ready for Halloween, she goes all out. Forget dollar store costumes and cheap wigs - this reality star hired the pros to help her transform into Poison Ivy. Kim left her husband, Kris Humphries, at home and donned this outfit at Lavo in NYC. Surprised? Not really. I rarely find an album I can listen to cover-to-cover, but Colday's Mylo Xyloto is absolutely brilliant. I've always had a soft spot for Chris Martin and co., but they've really outdone themselves with their latest album. I'm in love. I'm scared of heights. No wait, I take that back. I'm terrified of heights. I hate looking down from my 11th floor condo balcony, I hate airplanes and I've had minor (read: major) freak-outs before zip lining and parasailing. 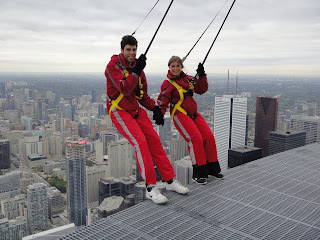 Walking 1,168ft above the ground on the CN Tower's new EdgeWalk attraction doesn't exactly seem like the right activity for me, but I booked, I walked, I conquered. I should start thinking my "bright" ideas through before I book them. I got the idea to take my boyfriend EdgeWalking for his birthday and booked the non-refundable activity before fully realizing just how terrifying the experience might be for me. I had a full month to digest the magnitude of my decision, but my nightmares of falling of the CN Tower constantly ruined my sleep. The big day finally arrived and it honestly felt like a dream. I spent the 30 minute prep time quadruple checking my harness, remembering that one square meter of fabric can slow down a fall (thanks Dan Brown!) and saying a few prayers. I closed my eyes during the elevator ride up to the top of the pod and when it was my turn, ran out (they made me) onto the edge. EdgeWalk seems like a distant dream now. The half hour spent walking the perimeter of the CN Tower went by in a flash and it seemed so surreal. It was an out-of-body experience - likely because I never thought I would willingly walk 1,168ft above the ground. I'm still terrified of heights, but I'm thrilled that I actually went through with it. If you're watching the video, I'm the girl with the death grip on the cable trying not to pass out. Thinking of EdgeWalking? I suggest waiting until the attraction reopens in the summer. It was pretty chilly up there in October and our guide told us they are going to start offering sunset and twilight walks. Is it enough to get me back on the edge? Unlikely, but we'll see how the rest of the year goes. What happens when celebrities are asked to come up with new initiatives for the Clinton Foundation? A hilarious brainstorm session with Ben Stiller, Matt Damon, Sean Penn, Kristen Wiig and more. Think they're looking for an A-List blogger to join the celebrity division? Press-hungry Mariah Carey and Nick Cannon managed to keep their twins, Moroccan and Monroe, under wraps for sixth months. The parents finally revealed the babies on 20/20 with Barbara Walters. They may have unfortunate names, but the babies are adorable. Nick wants them to get PhDs, but Mariah wants them to get into showbiz. Guess who will win that battle? One of the story lines in the 1987 sitcom Second Chance featured the death of Colonel Gaddafi in 2011. The story centered on Chazz Russell, a man who dies in 2011 but isn't fit for heaven or hell. He goes back in time to help his past self live a better life. Before he reaches the gates of heaven, though, Gaddafi showed up for judgement following his death in 2011. It was only released yesterday, but Justin Bieber's Mistletoe already has over one million views on YouTube. Shocking, I know. What is wrong with the world? I hear Dan Humphrey has been hanging out with talented, interesting and influential people. Ugh is it 2012 or something? I am so confused. However, I'm sure it's only a matter of days before Dan's literary circle realizes they're spending time with such a dork. Not everyone was impressed with the decision to hire a new Lily on Modern Family, but it seems Aubrey Anderson-Emmons is fitting right in. On-screen dad Jesse Tyler Ferguson shares the little girl's first scene with Ellen DeGeneres. It's worth the watch! I still have a case of royal wedding fever. It's been nearly six months since the wedding of the century, but I'm still obsessed with the Duke and Duchess of Cambridge. Prince William and Kate seem to be flourishing in their new roles. After a highly publicized trip to Canada and Southern California, the Duke and Duchess hosted a $1 million charity dinner in London's St. James Palace on Thursday. Don't they look dashing? 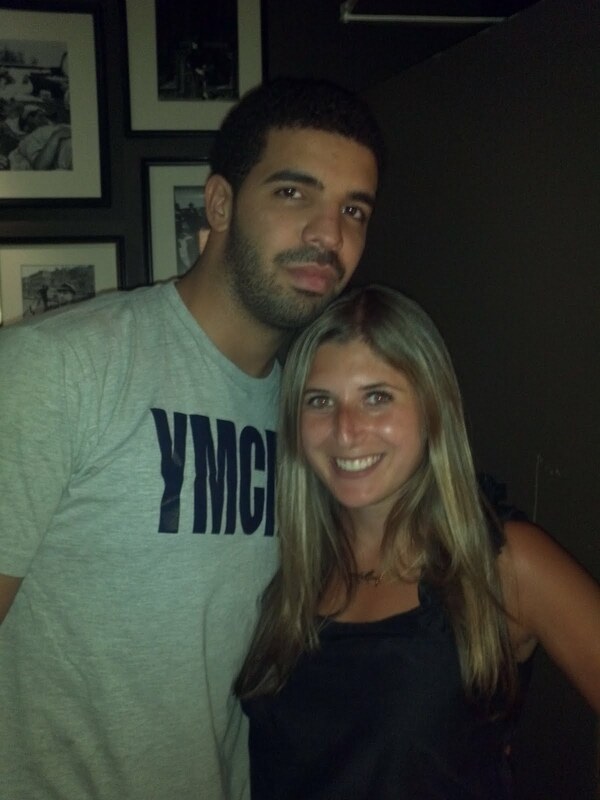 Saturday Night Live digital shorts are amazing, especially when Drake is on the show. Kids sing the darndest things! The Super Bass princess herself, Sophia Grace Brownlee, and her friend Rosie were invited to appear on The Ellen DeGeneres Show. While Sophia seemed happy to have the audience's eyes on her, her reaction to Nicki Minaj's surprise appearance was priceless. Enjoy! Ellen and Nicki Minaj also sent the girls on a shopping spree at Toys R Us. Their fairy tale just keeps getting better and better. Reality star and Beverly Hills princess Tori Spelling has a new daughter to spoil. Tori and husband Dean McDermott welcomed Hattie, tweeting, "Our family's so happy 2 announce [that on] 10/10/11 baby girl Hattie Margaret McDermott was born at 7:08am! No word on when the first official photo will be sold or tweeted, but Tori did share a picture of Hattie's teeny tiny feet. I've always had a soft spot for monkeys. No, really - I would much rather have a pet monkey than a dog. Since my dream is unlikely to ever become a reality, I get my monkey fix on YouTube. Check out this video of a baby chimpanzee twirling around. It's adorable! 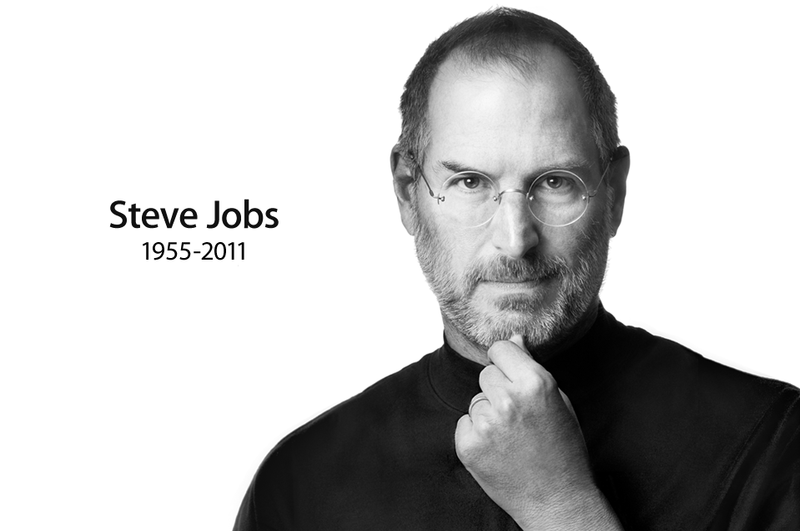 Stephen Colbert pays tribute to Steve Jobs. Hilarious. Even I don't know half the words to this song. Oh, I also can't sing like Nicki Minaj or Sophia Grace Brownlee. 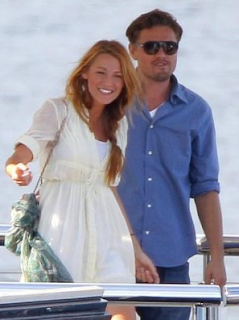 They never confirmed their relationship, but their reps have publicly stated that Blake Lively and Leonardo DiCaprio are no longer a couple. Don't fret - the pair "remain friends." Bar Rafaeli must be thrilled! Sheldon tucks Penny into bed. Then, they sing a Soft Kitty medley. I love it. Going to the chapel and B's gonna get married. Looks like our very own princess of the UES is making her title legit. No longer just ruling over the streets of Madison, B's going to be ruling over the people of Monaco. Bow Down. There's one role that Ryan Gosling wishes everyone would forget. During the Q&A at TIFF premiere for his new film Drive, a fan brought up Ryan's role as Sean Hanlon in the popular Canadian television series Breaker High. An embarrassed Ryan chuckled as his costars looked confused. He never really acknowledged the comment, but his costars joked that they would have to find some old episodes to watch. I don't know why Ryan's so embarrassed - I loved Sean! This video proves yet again why Drake is our hometown hero. The rapper used popular Toronto sites like the Rogers Centre (Skydome) and CN Tower in his new music video for Headlines. Rob Ford's next move should be to sponsor a music video for Drake and Justin Bieber in Toronto. Now that would boost Toronto tourism. Looking for the perfect chocolate chip cookie recipe? Well, I found it. This recipe is simple, delicious and so easy. You and your loved ones can thank me later. - Using an electric or hand mixer, beat the buter until smooth and creamy (mine always looks a bit chunky). Add the white and brown sugars and beat until fluffy. Beat in eggs, one at a time. Add the vanilla and beat until mixed. Scrape down sides of the bowl as needed. - In a separate bowl, combine flour, salt and baking soda. Add the dry ingredients to the wet mixture and beat until incorporated. Add chocolate chips half way through mixing. - Roll the dough into small balls and flatten them with the back of a spoon. Bake for ~12 minutes or until golden brown. Any song the incorporates the Beverly Hills 90210 theme song is an automatic winner for me. This song will never get old.